Do you sometimes experience numbness or tingling sensation in your toes? Do you exhibit Carpal Tunnel Syndrom (CTS) after spending prolonged hours on the computer? If yes, you might be suffering from Peripheral Neuropathy. The body's nervous system is vital to our survival. This major and complex system consists of the brain , the spinal cord and the nerves, control and regulate all the vital operations allows us to perceive, comprehend, and respond to the world around us. Nerves enable impulses sensation and motion between the brain, spinal cord and other parts of the body. The nervous system is a communication and controlling body system that coordinates voluntary actions like walking and involuntary actions like breathing and swallowing. Peripheral Neuropathy is a disorder that affects the nerves. It impairs their function of transmitting information. Peripheral Neuropathy causes body discomforts which may include tingling, increased or decreased sensitivity to vibration, hot or cold, numbness, muscle weakness and even burning pain. The feet and toes are commonly affected early in the course of a generalized neuropathy. To some, Peripheral Neuropathy symptoms are less frequent, which may be misinterpreted or dismissed. Symptoms of peripheral neuropathy can seem innocuous but have an impact on the patients' well-being, day-to-day activities and their quality of life. 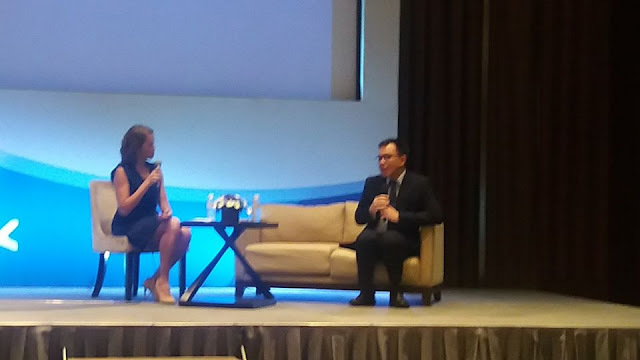 Early detection and treatment are crucial as well as effective treatment options, which relieve patients from their symptoms without having to suffer from significant side effects. 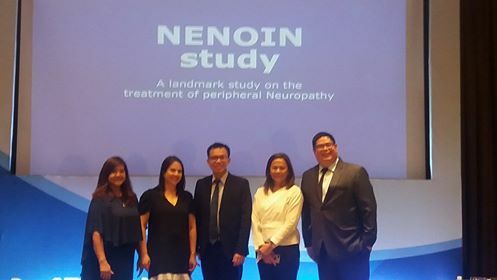 Last week March 21,2018, Merck initiated the NENOIN Symposium with Dr. Rizaldy Pinzon at the Marco Polo Hotel, Ortigas, Manila. New observational, non-interventional clinical study gives patients new-found hope and relief from their symptoms. According to the study, Peripheral Neuropathy sufferers treated with a combination of three neurotropic B vitamins have experienced improvement on all neuropathy symptoms observed in the study independently from the cause of their neuropathy. Research results is a giant leap for taking care of peripheral neuropathy sufferers. Finally it is also very reassuring to see that the Neuroblon Forte treatment has shown a good tolerance profile over the whole duration (3 months). Neurotropic B vitamins combination has been proven effectively for peripheral neuropathy sufferers in relieving symptoms.The symptoms were even more reduced over longer duration of treatment. 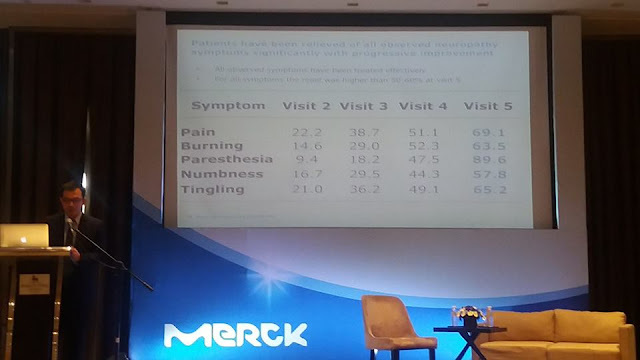 Neurobion, the nerve care expert from Merck Consumer Health was first launched in the Philippines in July 1972 and is now the world's no. 1 in neurotropic B vitamins combination products. Neurobion is a B complex vitamin supplement that containing vitamin B1, Vitamin B6 and Vitamin B12 that contributes to nerve health. It helps enhance and prolong quality of life when people start experiencing the signs of an impaired nervous system. Neurobion provides relief for people who suffer from peripheral nerve problems and anyone at risk of vitamin B deficiency ( e.g. over-55 years old, vegetarians, diabetics and pre-diabetics etc.). Neurotropic B vitamins play an important role in nourishing, enriching and regenerating nerves in those who suffer peripheral neuropathy. Neurobion Tablet and Neurobion Forte Tablet is available over the counter while Neurobion Forte Solution for Injection is available by prescription. Founded in 1668, Merck is the world's oldest pharmaceutical and chemical company. Merck is a leading science and technology company in healthcare, life science and performance materials. Around 50.000 employees work to further develop technologies that improve and enhance life from biopharmaceutical therapies to treat cancer or multiple sclerosis, cutting-edge systems for scientific research and production, to liquid crystals for smartphones and LCD televisions.